One important thing to remember about estate planning and elder law issues is the fact that even healthy seniors need to plan ahead. This is true not only with regard to the potential need for long-term care but also the need to have advance health care directives in place. Let our elder law attorneys help you determine what you need to consider for your estate plan. The high costs associated with long-term care are something to budget for in advance when you are looking ahead toward the latter portion of your life. 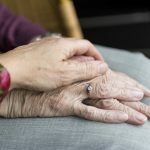 Even if you take good care of yourself you should take steps to prepare yourself for the potential of incurring assisted living costs late in your life. 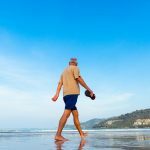 While it is great to make intelligent choices with regard to diet, exercise, and things like smoking and drinking being healthy as you enter your retirement years is not a free pass with regard to long-term care. The truth is that you may be even more likely to eventually need to enter a nursing home or assisted living community if you do in fact live a healthy lifestyle. Those who take care of themselves inevitably live longer than those who do not in many cases. If you pass away suddenly due to a preventable disease when you are in your 60s or 70s you may, in fact, have lived your life without ever spending a day in a long-term care facility. When you reach an advanced age the possibility of incapacity looms. Decisions may have to be made at a time when you are unable to communicate, and this is a contingency that should be planned for in advance. Advance health care directives are highly recommended to this end. The two directives that people generally utilize are a living will and a durable medical power of attorney. Our elder law attorneys can help you be prepared. Advance health care directives should be a part of any holistic plan for the future. If you are currently unprepared, now would be a good time to pick up the phone and arrange for a consultation with an experienced elder law attorney. There are documents that should be part of your holistic estate plan called advance directives for health care. These directives are put in place to prepare for possible incapacity. While it is certainly not a very pleasant thing to contemplate, people often become unable to communicate medical decisions at some point in time. You create your advance directives to make your wishes known in advance. One advance directive for health care that should be part of your incapacity plan is a living will. Unlike a last will, this will is not devoted to financial matters. With a living will, you state your preferences regarding the utilization of life-sustaining measures. These measures would include artificial respiration, feeding tubes, and artificial hydration. With a living will you state your preferences regarding medical procedures. The issue of whether or not you would want to be kept alive via the use of artificial life support systems is central to living wills. A living will is not going to specifically address every possible scenario. 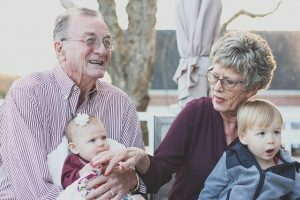 For this reason, it is a good idea to execute a durable medical power of attorney naming an individual of your choosing to make medical decisions for you if you become unable to do so for yourself. When you have a living will in place, your own wishes will be honored if you are ever in this situation, and your family members will not be faced with this excruciating decision. Let our elder law attorneys help you set up your living will. The living will is strictly devoted to the subject of life-support utilization. There are other types of health care issues that could arise toward the end of your life. To account for this possibility, you could execute a durable power of attorney for health care. In some areas, a document called a health care proxy would be used for the same purpose. When you create a durable power of attorney for health care, you name an agent. This individual would have the legal power to act on your behalf with regard to health care decision-making in the event of your incapacitation. If you have questions regarding advance health care directives or any other estate planning matters, please contact the experienced attorneys at The Potter Law Firm for a consultation. You can contact us either online or by calling us at (704) 944-3245 (Charlotte, NC) or for individuals in Kentucky at (606) 324-5516 (Ashland, KY) or at (859) 372-6655 (Florence, KY).